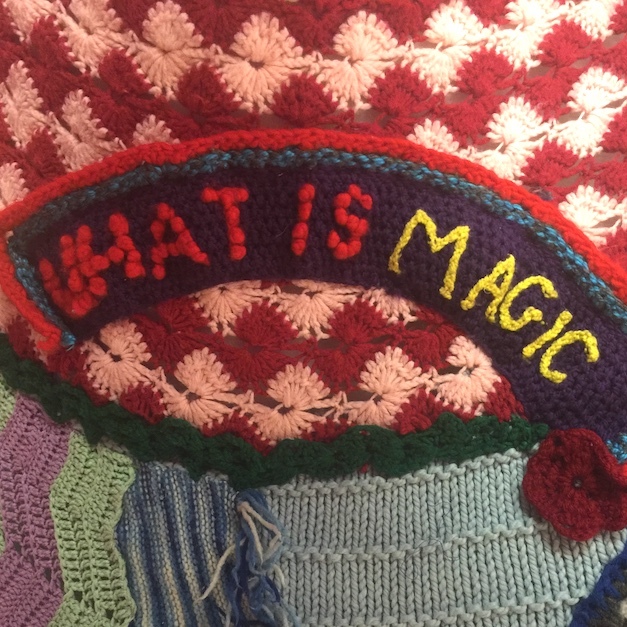 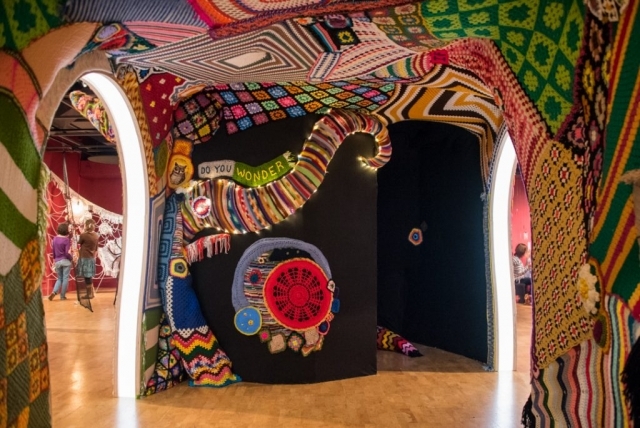 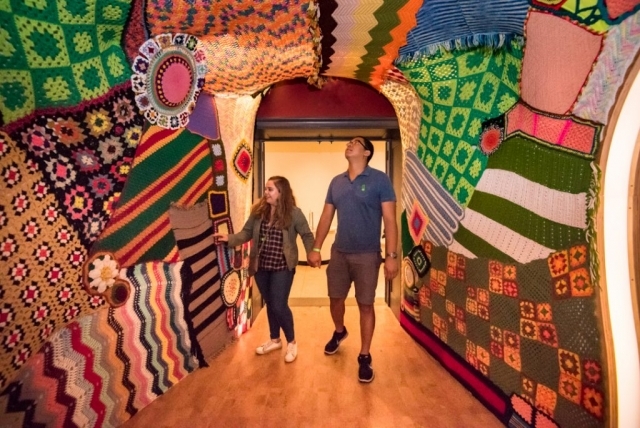 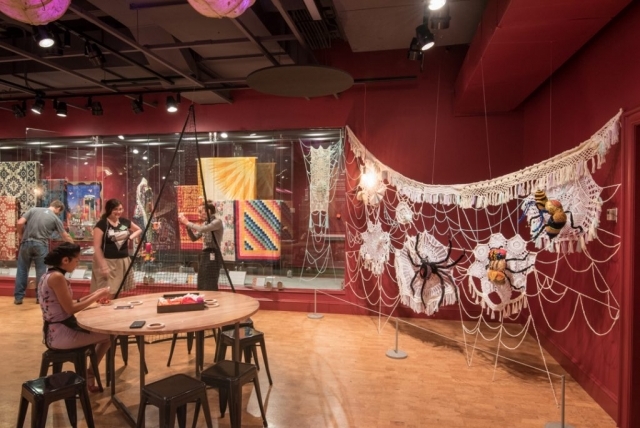 The Wonder Room is an experimental, one-of-a-kind gallery in the JPMorgan Chase Center for Creativity. 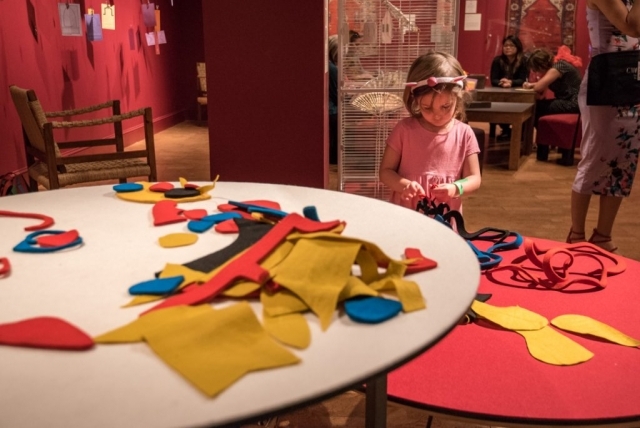 Works of art are displayed in unexpected ways, and custom, hands-on activities are featured prominently near great works of art to inspire creativity in this family-friendly space. 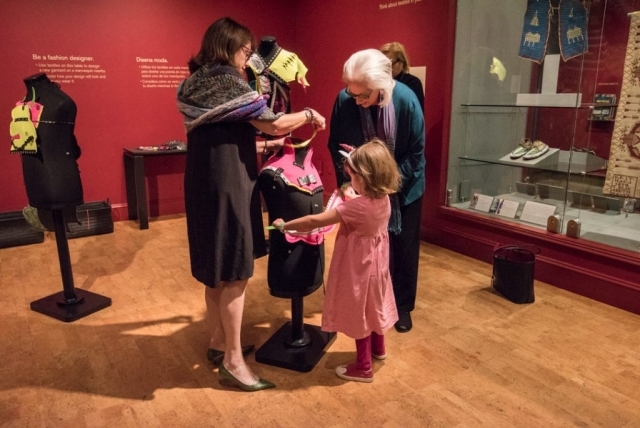 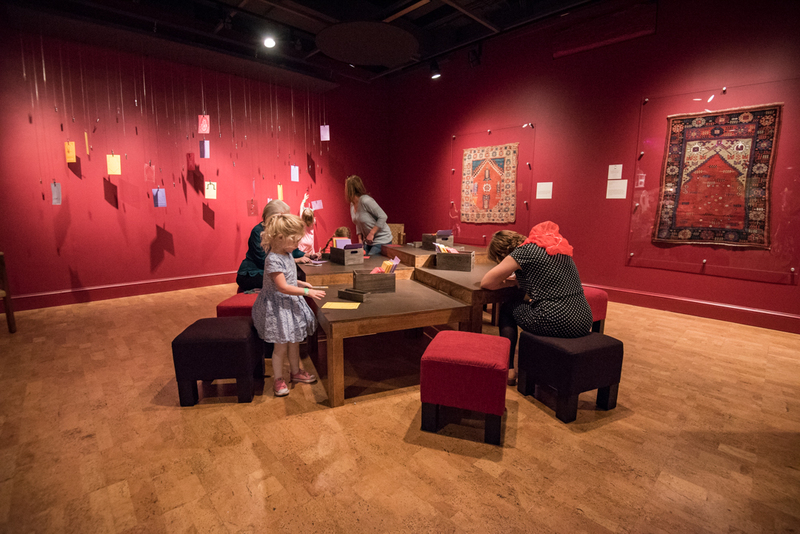 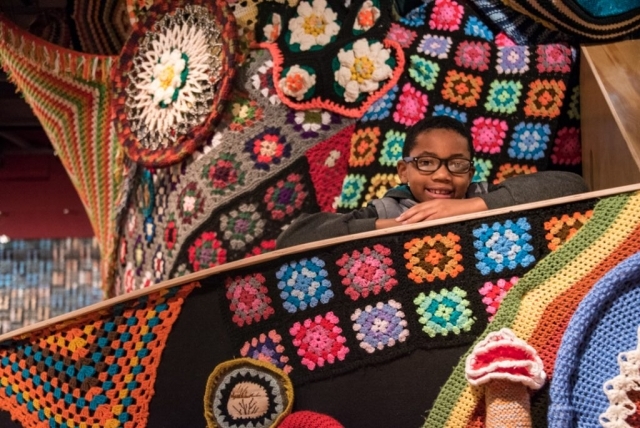 The new Wonder Room showcases CMA’s rich textile arts collection. 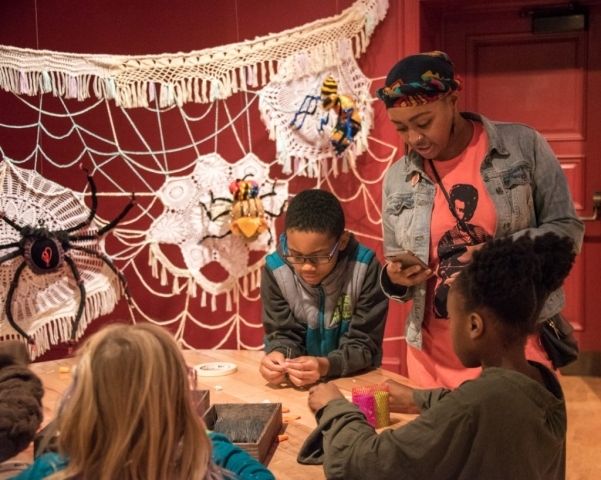 Artists were commissioned to create textile-based works and hands-on activities for the gallery including artist Jeila Gueramian’s ultimate version of a blanket fort; former Project Runway contestant, and local fashion design Kelli Martin’s Mad Max inspired fashion station; and artist Susie Underwood’s web party where visitors can make their own bugs.